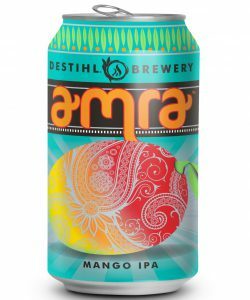 Suitably subtle mango juicing quietly influences IPA-like citrus fruiting and light resinous pine dankness. Spry mango tang embittered by grapefruit pith and orange rind bite to contrast modest tangerine-pineapple-peach sweetness above its earthen grain bottom. Summertime fun.